Fine cotton friendship bracelets in vibrant rainbow colours complete with hoop and two ties for knotting onto your BFF's wrist. 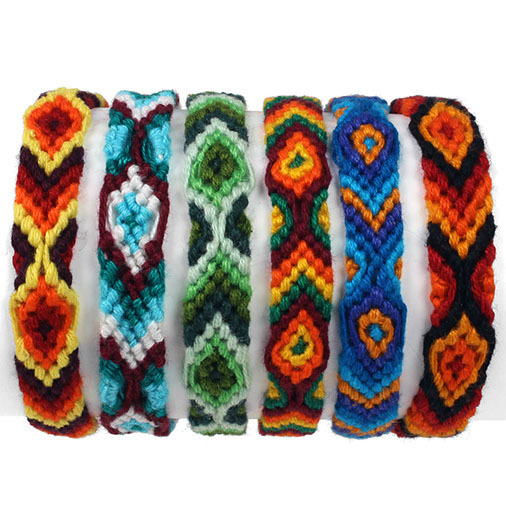 Friendship bracelets are believed to have originated with the Indians of Central and South America. 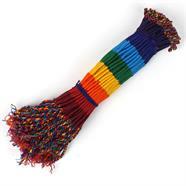 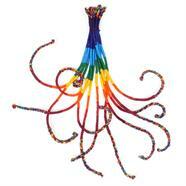 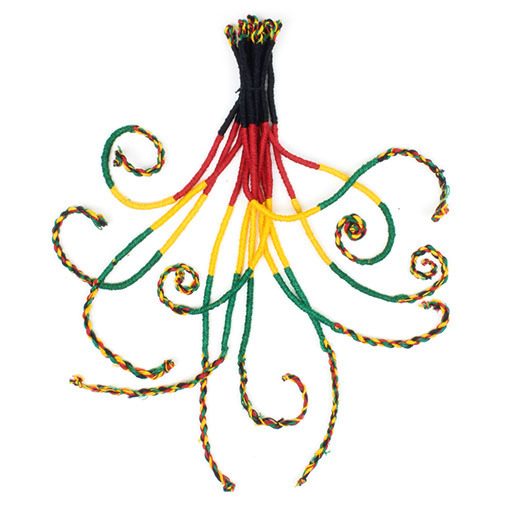 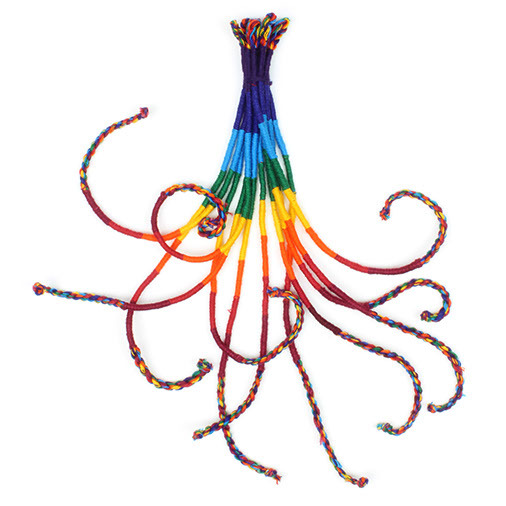 They are a form of macramé which forms textiles from knots rather than weaving or knitting. 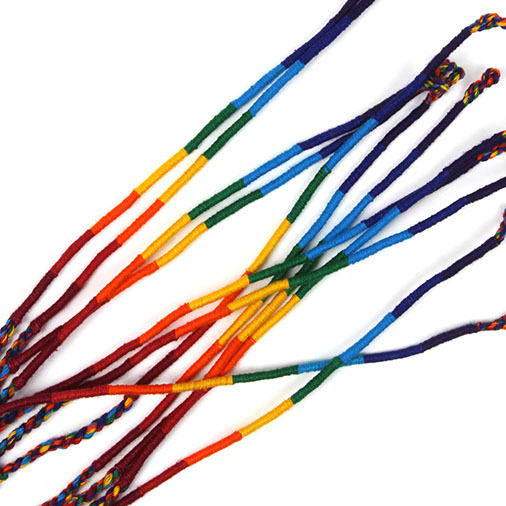 There are various traditions about wearing friendship bracelets however one of the most common is that you should tie it to a friend’s wrist and at that moment they make a wish. 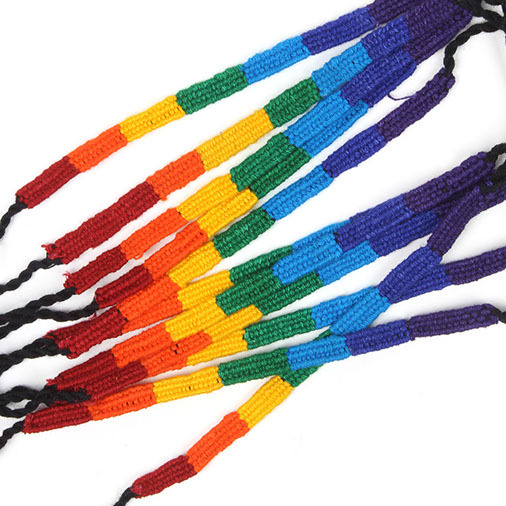 The bracelet should be worn until it naturally wears and falls off at which point the wish is supposed to come true.